By Kristi · 1 Comment · · Disclosure: This post may contain affiliate links. Using an affiliate link means, I might earn a commission from any purchases through that affiliate link. The heat is here and it’s not going anywhere for a while which also means the high electric bills will follow soon. Even though it is early in the season, we are already reaching heat index highs above 100° here in the Houston area and our home air conditioner seems like it’s running all the time. OMG…it’s hot out there. With all of this in mind, now is the perfect time to get on top of air conditioner maintenance. Keeping a schedule is a must for us now that we know we are supposed to clean and service the outdoor unit. Last year, we learned the hard way when our capacitor went out on us. Now we make sure to have our unit serviced twice a year even if we do it ourselves. With an air conditioner costing upwards of $2,500 to replace, it is a must to have it serviced. Home air conditioner maintenance should be done once during the winter months to make sure everything is running smoothly so you can save on your heating bill. And it should also be serviced during the summer months as well. While I had the service man out at our home last year, I asked him some questions that I never knew the answers to (as a new homeowner) and I wanted to share those tips with you so you don’t get put into the same boat we were on that hot summer night! If you have a room in your home that you don’t use regularly, shut the A/C vent off in that room and close the door. This will make your unit run more efficiently and besides that who wants to cool a room that they are using on a regular basis? Shut the air conditioner unit off at the thermostat and also shut off power at the breaker box. Hose down the unit at least two times per year (once in the fall, once in the spring) to make sure the unit is clean. If twice a year maintenance is too much for your budget, have the unit serviced at least once a year by a licensed air conditioner tech. The tech will service both the inside and outside unit to make sure they are both performing at their best. Most companies in the Houston area offer this service for roughly $60-$70 per visit. You notice icing on the unit. be sure to shut the unit off at the breaker box to make sure further damage happens to your unit. The icing on the unit could be the result of a dirty unit or even a dirty filter, but there may be even bigger problems that need to be addressed by the air conditioner tech. Disclaimer: We are not professional air condition technicians. 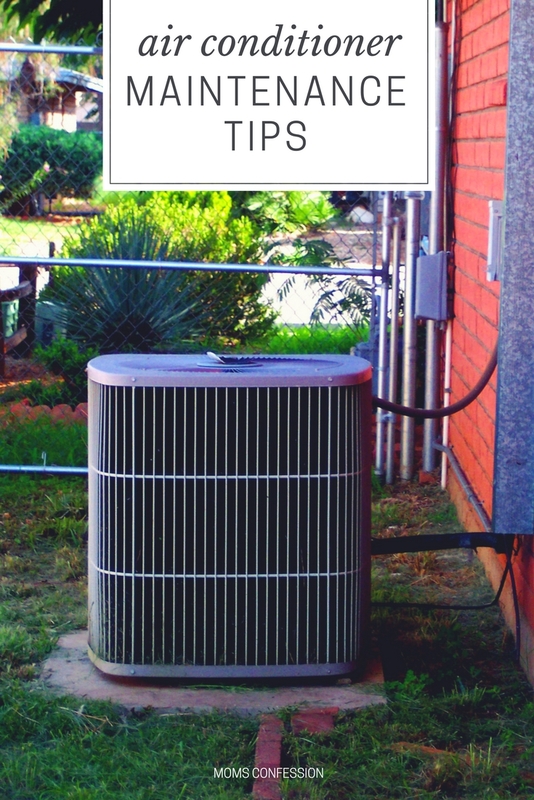 These tips are shared as a means to help fellow homeowners diy this task on their own air conditioner unit. We have used this process for the past 10+ years that we have owned our own home with success. If you decide to diy this home maintenance task on your own, you do so at your own risk. Have you had your air conditioner maintenance done this year? 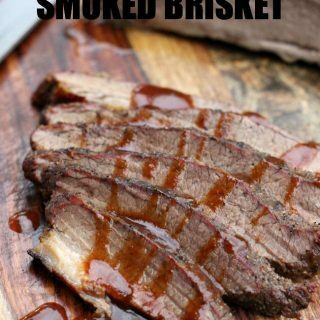 Kristi, Great tips! 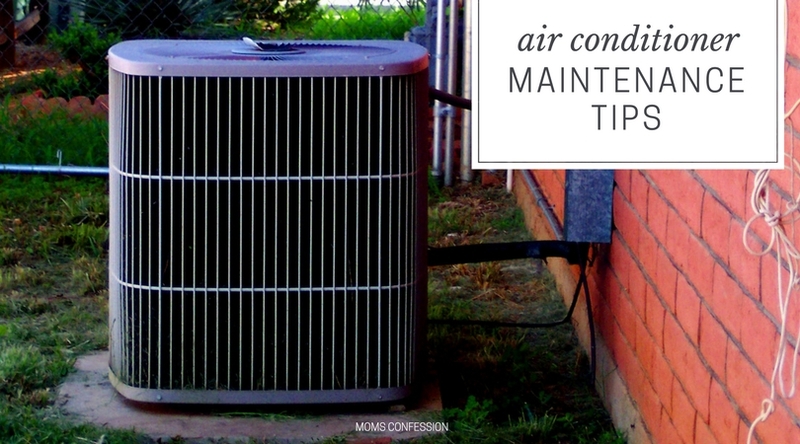 A little bit of simple maintenance can do so much for your air conditioning unit! It is definitely extremely important to change your air filters out monthly.